Outspoken NPP Member of Parliament for Assin Central, Kennedy Agyapong has described prophets as ‘liars’ who exploit vulnerable Christians for personal gain. According to him, 90 percent of prophets are ingenuine men of God who only make predictions based on information they retrieve on individuals. Knowing their weaknesses he explained, they dwell on those and tell these people exactly what they want to hear, most at times threatening them with death and instructing them to make offerings to avert them. “Prophets lie, about 90 percent of prophets lie. It all boils down to death, knowing most people fear death, they come to you, threatening you with death to get you to succumb to their needs. Some people fish out for information about your life which they eventually use against you”, he said. Nonetheless, he says the founder and leader of the Glorious Word Power Ministry International, Rev. Isaac Owusu-Bempah has proven otherwise by making accurate prophecies in the last 3 years. “When you talk about it, they say you are blaspheming but it is the truth. When you see the lifestyle of most men of God, their lifestyles; lavish lifestyles, and you see their followers and how deprived they are…I don’t believe in prophecies but I believe in Rev. Owusu Bempah, for 3 years now and he has surprised me with his predictions”, he said. “I don’t believe in prophecies but I believe in Rev. Owusu Bempah, for 3 years now and he has surprised me with his predictions”, he said. 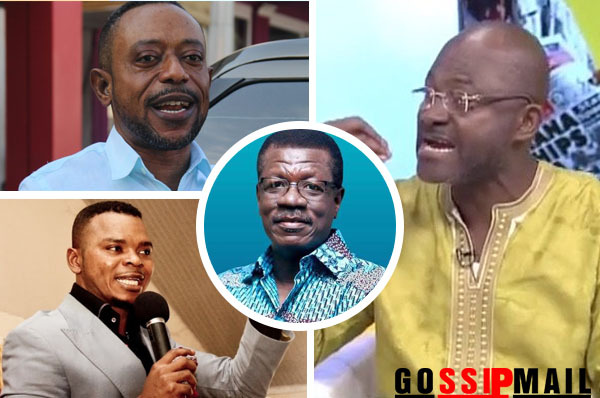 The maverick politician made these comments on the back of a prophecy by founder and leader of the Elected Prayer Ministry, Prophetess Rebecca Aboagye concerning his life. The prophetess said Kennedy has a true calling to go into evangelism.